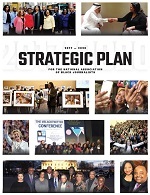 The NABJ High School Workshop (JSHOP) is an annual high school journalism workshop held in the host city of the National Association of Black Journalists' (NABJ) Convention and Career Fair. The 2019 JSHOP will take place from Aug. 6 - 9, 2019 in Miami, Florida. The program will consist of interactive learning opportunities through lectures, presentations, assignments, training and tests. The students will learn multimedia journalism fundamentals for newsgathering, writing, photography, video, radio, blogging and editing. Journalism educators, journalists and college journalism students will provide expertise, mentorship and supervision. The NABJ High School Journalism Workshop (JSHOP) is a free, four-day workshop for local high school students in the host city of NABJ’s Annual Convention and Career Fair. Students from across the country may also apply. These national student applicants must be able to provide their own transportation to and from the host city, as well as housing and meals outside of JSHOP. Essentially they must act as a local student. A parent or guardian must chaperone the national student who participates in JSHOP. The JSHOP's goal is to provide an enlightening, informative, hands-on, and challenging introduction to the journalism profession to a multicultural mix of high school students. The workshop provides interactive learning opportunities through lectures, presentations, hands-on training and field trips. The students learn multimedia journalism fundamentals for newsgathering, writing, photography, video production, radio, graphic design, editing and social media. Professional journalists, educators, and journalism college students provide mentorship and supervision. By the conclusion of the workshop, participants will leave with a portfolio of professionally-developed media products including articles, photographs, and video clips. Also, the students will have a greater sense of what the journalism profession entails and a strong foundation to help them to pursue journalism at their high schools, in college, and as a career. All students, regardless of race, gender, ethnicity, religion or sexual orientation, are strongly encouraged to apply. *National applicants may apply. See Overview. Contact information for student and parent/legal guardian. 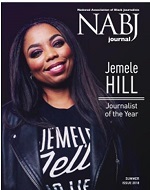 for their support of the 2019 NABJ JShop.